Over the past few years, more and more smartphone manufacturers have decided to remove the 3.5mm headphone jack from their phones. This is in spite of many people still wanting it. Many polls have shown that consumers still generally want their phones to have a headphone jack. Alas, no matter how many polls we answer, we are left at the mercy of the manufacturers. If all of them make phones with no headphone jack, we'll be forced to either adapt, or hold on to your existing phone forever. I'm opposed to the removal of the headphone jack, not because I want to use wired earphones instead of wireless, but because I feel it is a hostile, anti-consumer move. By removing the headphone jack, manufacturers are forcing users to either use/buy a dongle to continue using their wired earphones or buy a pair of wireless earphones (which are generally more expensive). This could also severely limit the choices available to a consumer if they feel like they must have a phone with a headphone jack. Some people have claimed that the headphone jack needs to be removed to push the wireless earphone industry forward. There may be some truth to that, but having a headphone jack on your phone doesn't impede progress in any way. My stand is that phones should still have a headphone jack, that way consumers can choose either wired or wireless earphones, and not be forced into a corner. Anyhow, I'm not here to debate on the removal of the headphone jack. I'm here to ask if you are still using wired earphones, or if you have embraced the wireless movement? I've used wireless earphones in the past. I've had two pairs which were relatively cheap and from less premium brands. Which is probably why they ended up not lasting long. With more and more phone manufacturers removing the headphone jack, I thought it was time to invest in a good pair of wireless earphones. I decided on the Bullets Wireless from OnePlus, and I'm extremely happy with my decision. You can check out my full thoughts in the Twitter thread above, but basically there are three things I love most about these earphones. The first is that they charge with USB-C. I ignored many other options that still charge via micro-USB. My phone charges with USB-C, so I didn't want to have to rely on a different cable to charge my earphones. I can now use the same cable to charge both my phone and my earphones. I also love the magnetic controls. When my earphones snap together via magnets, they turn off and my music stops playing. Separate the earphones and my music instantly resumes. I can't express how convenient this feature is. Lastly, the sound. I'm not an audiophile by any means, but my music sounds pretty good coming through these earphones. It doesn't come with active noise cancelling, but the fit in my ear is good enough to drown out just enough sound to allow me to enjoy my music without being interrupted by the outside world. I'm not the only one who loves these earphones either. Andrew Martonik from Android Central literally can't leave his house without his Bullets Wireless. So what about you? Do you already use wireless earphones? Do you plan to and are currently looking for the best options? Or do you still stick to the trusty old 3.5 mm headphone jack? There's a similar discussion going on in @dkeller's post, so you could drop in there as well. I use headphones, in the ear type to be more specific, as they fit with a motorcycle helmet and offer best audio quality. I had for many years used Etymotics brand and feel I can't really find better in terms of quality. Now, we already compromised allot by going digital, and that audio quality is entirely dependent on the sampling rate of recording, and phone's built in DAC converters, which like everything else is subject to cost cutting, by design. That's what made room for products like Firefly dragon converters. And now they take away the 3.5 mm jack! 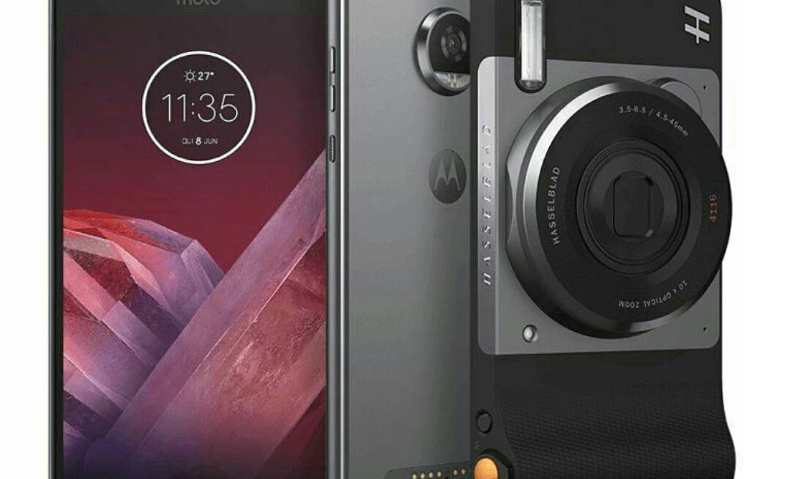 Aside from the nuisance of yet another battery to worry about charging and it dying in a year or so due to limited life, the quality and strength of audio will further suffer, due to further processing the signal before it gets to our ear. It's all really basically just a way to make money now by selling these as consumables. I'd call those earbuds, myself. But I see the review also called them headphones. Price is what controls my decisions, and $155 for those Apple things that hang out of your looking silly was too steep for me. But I did briefly consider them anyway, because I'm tired of the cord on my earbuds getting in the way on my walks, going to the store, etc. Wireless would be convenient. I wish I'd seen this review a week ago, because $70 is a nice price. A pair of wireless Sony noise-cancelling headphones (the big thing, not buds) have been on sale for $100 and I finally bit. They should get here in a week or so (backorder) and I'll know then if I've wasted my money or not. I must admit I'm leery of Bluetooth audio quality. Funny you posted this now as I need a new pair of earbuds and I'm trying to figure out which ones to buy. Like you, I hated that they removed the headphone jack, but now that I'm wireless, I went all the way and got AirPods. I love them except for a few little things. I'm very close to buying these Jabras. I don't much like being forced to abandon equipment that is serving me well, just because a vendor thinks the future is elsewhere. OTOH, I am perfectly fine with new technologies that offer me an immediate benefit. I moved to Bluetooth headphones for my laptop three or four years ago because I grew tired of throwing out wired ones because the wire was fraying at the jack. Admittedly, I was using fairly cheap stuff, but it irritated me anyway. I paid about 90 Euros for a pair of Jabra Move headphones. The quality is pretty good, probably better than the wired low-end Sennheiser phones I was using previously. Interestingly, I can connect the Jabra phones with a cable (in case of no battery, or no Bluetooth source), but I'm pretty sure I'm getting better sound quality over Bluetooth than over a wire. This surprised me, as audiophiles are ususally dismissive of Bluetooth. I'm guessing that the Jabra phones must have a better DAC than my computer. Otherwise, I don't understand how it could happen. I have had wireless headphones for quite some time, before the whole kill-the-jack theme started and wireless connectivity definitely is a must-have for me. Although, I still like plugging the headphones in when watching a movie or playing a game because the ones that I currently have, have pretty big latency. But headphones aren't really the thing that annoys me the most about losing the jack. It's situations like one that I went through in the previous weeks: at school each class is preparing an ameture theatre play, it's a school tradition. I was responsible for audio. So I had an app on my phone and... That's all I needed! So simple, I already have my phone with me everyday, I don't have to care about carrying a Bluetooth speaker nor any kind of dongle. I love Bluetooth and wireless tech but it's that simplicity that we're losing and especially in cases where the jack would easily fit in the phone, I'm very mad it isn't there. As a side note, I think the jack was removed because it's been claimed to be a place for water ingress and so most new phones are at least water/splash resistant now. Now I already spent the equivalent of a good set of ear buds on those silly new type of 3.5 mm adapters and learned in the process they're not all created the same. The poor quality ones will cut off the sound from one or both speakers when the wire is moved, such as when walking! I still refuse to jump to wireless headphones/earphones. It's partly a matter of convenience, more on which I'll get to, and it's also a matter of audio quality. I'm not at all a fan of removing the 3.5mm jack, although I recognize why manufacturers like Apple, Samsung, etc are making the switch. From a convenience standpoint, I can only stay on top of the charge state of so many battery-powered devices. Between my laptop, my cell phone, and my personal audio player, that's all I can manage. So my mice, earphones, headphones - essentially all accessories, are wired. When traveling, I acknowledge that it would be nice not to have the wires hanging out all over the place, but I'll take that over the feeling of dismay when I pull them out to use them and find they've lost charge and are therefore temporarily unusable. So, at home I have various DACs set up and various wired, transducer solutions. A Dragonfly is on my office desktop, wired to a pair of Bose desktop speakers, or I switch to a pair of wired GN2000s for my conferences and audio when I need to keep the noise down. 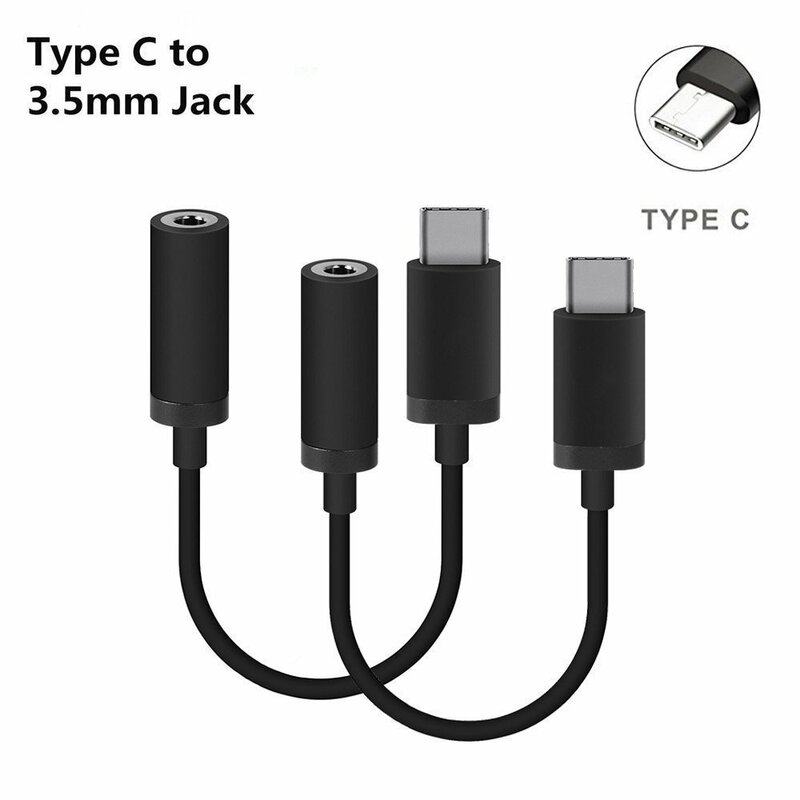 For mobile calls, I have a Pixel 2 which has no 3.5mm jack, so I have the obligatory adapter that @Dracula shows above (but with a mic band), and a generic $9.95 headset I bought at an airport. I tend to lose those and/or they inevitably fail 1 day past the warranty date, so I view them, essentially, as a throwaway solution. For my portable audio setup, I have an Astell & Kern Kann with a 2.5mm balanced output, and a set of custom JH Audio Lolas running over a custom Black Dragon cable, which I treasure. There are no wireless headphones/earbuds that I'm aware of that can deliver the liquid audio experience of a set of Lolas. But one comment on the JH in-ear monitors: I bought them because I travel a lot, and I wanted something that delivered great audio and also suppresses all the noise in the various environments one encounters on business trips: noisy bars, airplanes, airports, hotel lobbies, etc. I'm wary of noise cancelling solutions because they diminish the nuances of hi-res audio. For noise suppression on airplanes, the Lolas work a little *too* well: they seal so effectively that I have to reach up and unseat them from my ears during climbs and descents, to prevent the pressure from building. So on shorter flights when it's up then down, I've gone back to a set of Shure e4c's, which don't seal. But I'll still take the Lolas every time, on longer flights! I don't even entertain the thought, mostly because manufacturers seem to not want me to. I can't stand in-ear earbuds and I have an ear canal issue which might get worse if I try. So I'm clinging to my wired earbuds as long as possible, which don't go into the ear but rest in the folds instead. As for actual headsets, the price of decent bluetooth ones is still a little out of my budget and I only use headset at my desktop computer so meh.